Oh, my… So many changes is so little of time. Whew…. lots going on. First off, have you visited my new improved blog? Gurlfriend, or whomever, that’s where it’s at. I’ve got my videos on there, art, big ol’stories you’re gonna wanna read. I promise you will. I love WordPress, but just couldn’t get it all in here, that needed to be in here. You know what I mean? Sure you do. So PJHornbergerFolkArtist.com is doing all that… and some more. Plus, don’t forget I have PJHornbergerFolkArt.com where you can shop 24/7. See the very latest and the best folk art I have done. The paint will probably still be wet, but that’s Ok.
Now if you’re on my mailing list…. you’re gonna know about everything FIRST. You get to see the art the day I finished it. You get the news on stuff before I’ve even done it. You get invitations to parties, showings, whatever’s going on around here. I never ever share my mailing list, and I darn sure don’t sell it. Email me at pj(at)industryinet(dot)com with all those details. Name, location, email address. See, it’s so easy. Looking forward to seeing you at PJHornbergerFolkArtist real soon. 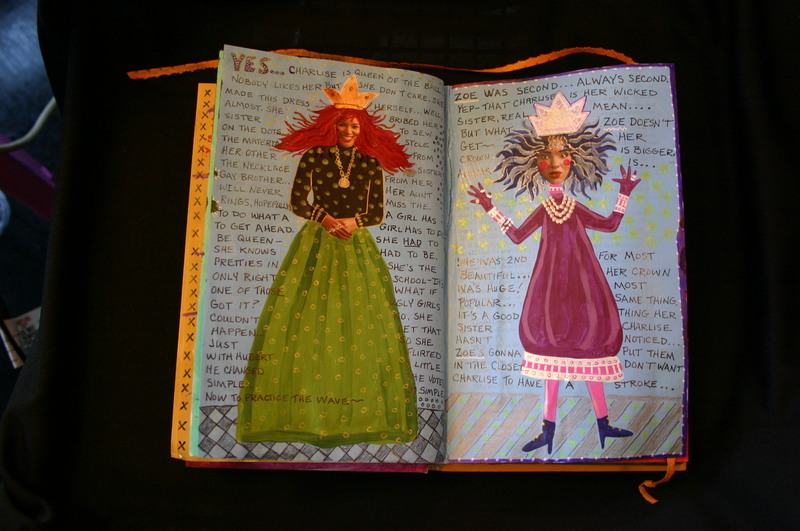 Posted by pjhornberger	| 07/26/2011 | Categories: folk art | Comments Off on Hello out there…. 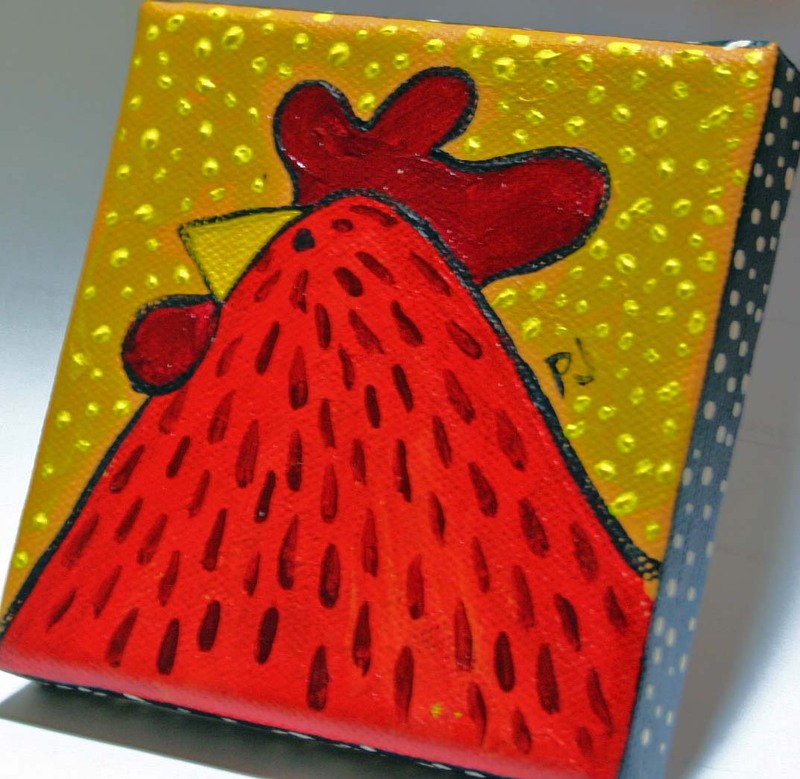 Win this original chicken portrait painting by yours truly June 19th. Go to www.PJHornbergerFolkArtist.com. Look at the left hand column to sign up, or leave a comment there on a post with your email/name. Lots of PJ art news…. 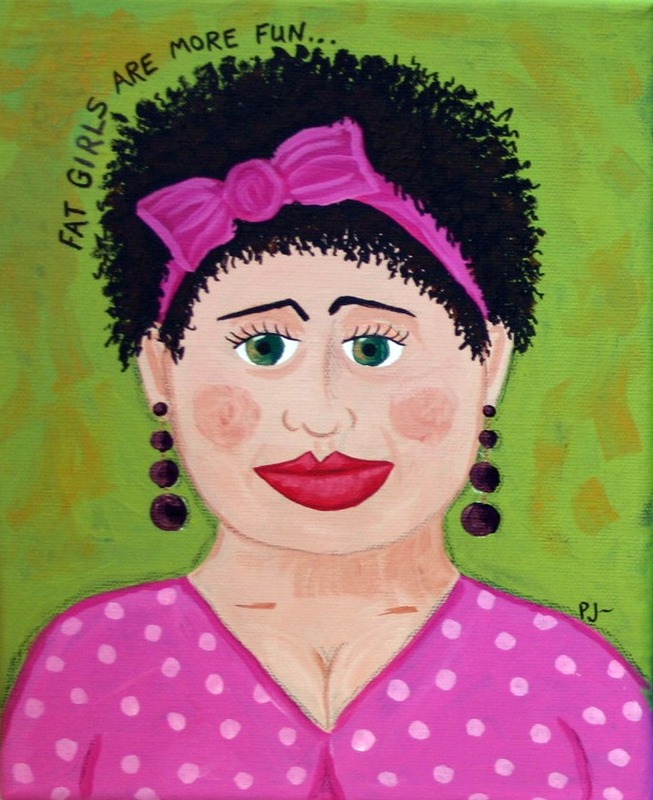 Suzette and friend, Bella, have just arrived at www.PJHornbergerFolkArt.com. Somebody sent them gorgeous yellow flowers. All those details are on www.PJHornbergerFolkArtist.com Ya’ll really neeeeeed to visit www.PJHornbergerFolkArtist.com cause we’re always havin’ parties and stuff. I don’t want ya’ll missing anything. We roasted marshmellows the other night and where were you? See, that’s exactly what I mean. And we had new videos… really good videos… they were the eye wipin’ kind. (you know, you laugh so hard you tear up) Pay attention… I’m losing ya. Ok, after supper come visit me at www.PJHornbergerFolkArtist.com Good Lord, I have 6 followers on there. And they’re all real nice folks. big hug, can’t wait to see ya’ll….. I don’t have a clue what I was doing today. Was suppose to do a post here. Some how I got caught up in doing some research on uploading videos… then it was trying some stuff on my blog.. over and over and over…. nothing worked. Then I sold a painting on www.pjhornbergerfolkart.com . Well I had to do the Happy Dance fore at least an hour. I was thrilled, still am. Was forced to eat a hamburger and fries R made. The things I do for that man…. 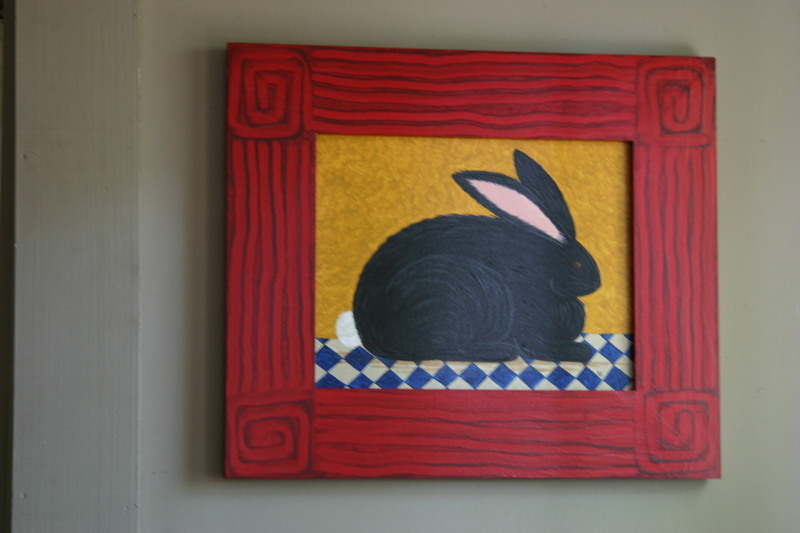 www.PJHornbergerFolkart.com a really nice place to hang out…. You can teach techniques, but not results. Isn’t that brilliant? I love that. Covers a lot of things. 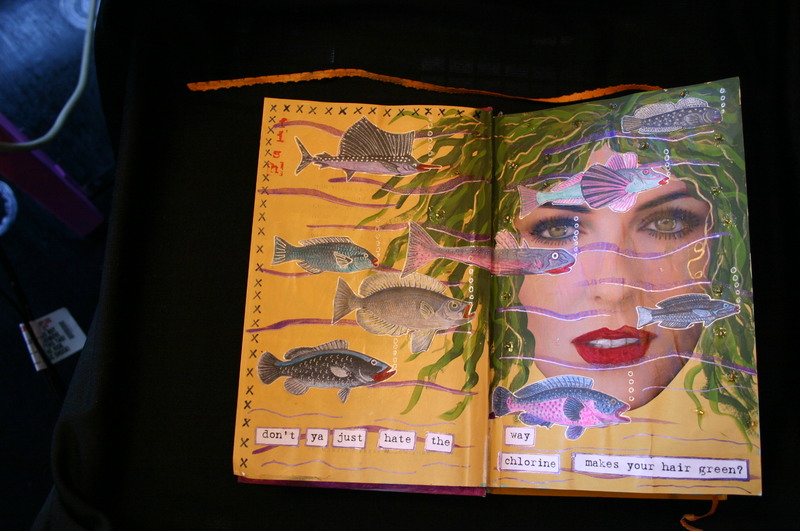 Another altered book page from an Art Journal I did a few years ago. Now it belongs to a really nice lady in Brenham. I had fun doing those books.